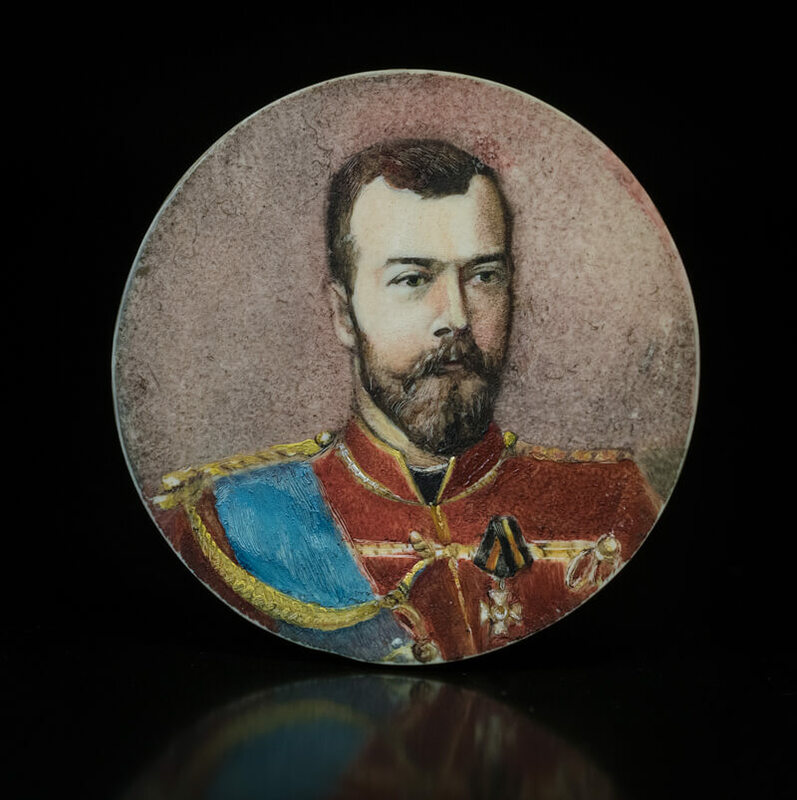 This rare miniature portrait of Tsar Nicholas II on a round bone plaque was painted during World War I. Nicholas II is wearing a red hussar uniform, a blue sash of the Order of St. Andrew and a white St. George cross. The Tsar, as Supreme Commander in Chief of the Russian Army, was awarded the Cross of the Imperial Order of St. George 4th class on October 25th, 1915. Nicholas II was proud of his St George order and took the cross with him to exile in 1917. 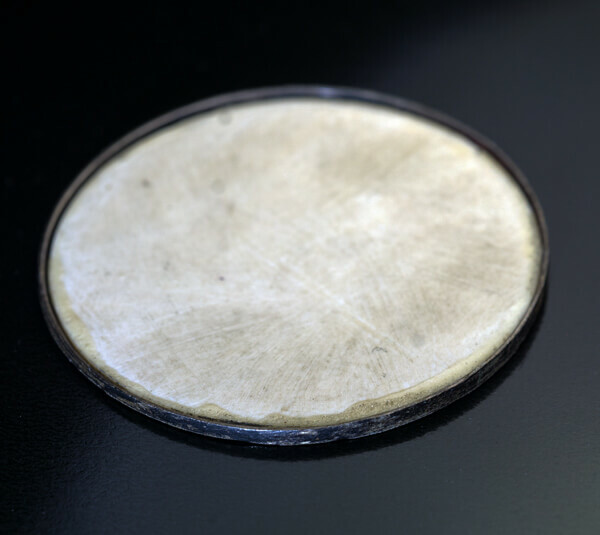 The cross was found hidden in the bathroom of the Ipatiev House, where the Imperial family was executed on the night of July 16-17, 1918.